Cheadle Hulme High School has been praised in the national press for its ‘astounding’ A-level results. 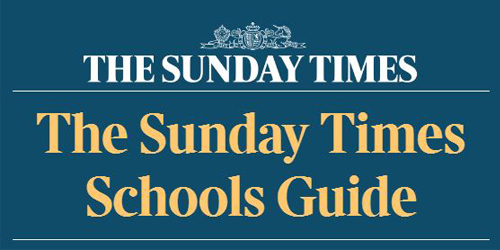 According to data taken from The Sunday Times Parent Power Schools Guide for 2019, published this weekend, our school is the 16th best-performing comprehensive school in the entire country. And he added that in the regional top 20 several comprehensives feature, often with results at sixth-form level that challenge their selective rivals. We are delighted to feature so highly in The Sunday Times’ annual survey and proud that we are making further steps towards levelling the educational playing field. Christmas card collection raises £850 for The Christie!